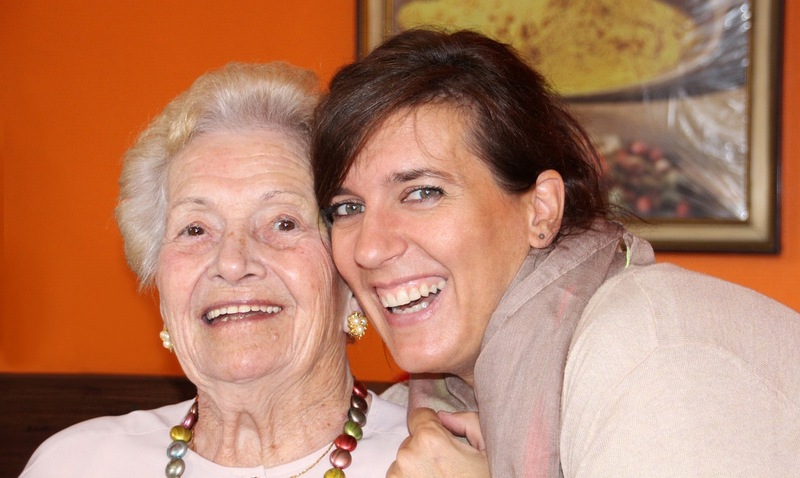 The best time to locate an appropriate elder law attorney is before you need one. The debilitation of an aging loved one is a very stressful part of life, and having an elder law lawyer ready to assist you and your loved ones can greatly alleviate the whole process. Planning ahead with an elder care lawyer means that all parties can take part in the decision-making process, which should provide more peace of mind for everyone involved. Estate planning isn’t just for the wealthy. Middle class Americans need to plan for their future estate needs as well, and our firm of elder law attorneys at the Law Offices of Keane, Thomas & Pinnacoli can help your family maximize the value of your estate while you focus on providing the best care possible for your aging loved ones. Starting to plan your estate when you’re younger may enable you to have a larger estate when you retire. You’ll be confident that if anything happens in the meantime, your family and loved ones will be taken care of. Elder law attorneys specialize in elder law, an area of legal practice that focuses on issues affecting the aging population, including estate planning and administration, Medicaid, disability and long-term care, guardianship, conservatorship, and more. As Florida Bar Board Certified attorneys in Wills, Trusts and Estates and experts in elder law, we have been specially trained in managing the estate, finances, and daily living needs of the elderly in our area. We can advise you on how to provide the best care for your aging loved ones, as well as how to best maintain their estate and financial affairs. Most of those over 65 years of age will require long-term health care, which can be expensive. This is one of the most important aspects of planning for the care of an aging loved one. Our elder care law firm can help you set up assisted care living or other types of living arrangements for the elderly. This can include assistance that may be available through Medicaid, Medicare, Social Security, Veteran’s Benefits, and other government resources. In addition, special programs are available to help elderly veterans with their special needs. Service-connected disabilities can require specialized assistance that may not be available through normal channels. Thankfully the Law Offices of Keane Thomas & Pinnacoli are very experienced in these types of needs. Although none of us plan to ever become disabled or incapacitated, life doesn’t always go according to plan. By looking ahead, you can rest assured that you and your loved ones will be taken care of should the unexpected occur. This is of particular importance for the elderly. Our Stuart and Port St. Lucie elder law attorneys can help you plan for your future so that you can have the peace of mind you deserve. An essential aspect of planning ahead involves a power of attorney and other advanced health care directives, living Will, Designation of Health Care Surrogate, among other legal documents. We can help you with these forms and any others you might need, depending on your special circumstances. Not having the necessary documents available when they’re needed can be expensive, frustrating, and sometimes even fatal. Let our Stuart and Port St. Lucie elder law attorneys help you avoid this situation and plan ahead for your or your loved one’s legal needs. Appointing a trusted friend or relative to be your guardian or representative payee can provide you with substantial peace of mind because you know that someone you trust would be in charge in the event of a disaster. The elder care attorneys at the Law Offices of Keane, Thomas & Pinnacoli can help you establish guidelines for legal capacity determination should the need arise in the future. Although no one likes to contemplate this subject, it is sometimes a fact of life, so advance planning is essential. An elder law lawyer can help you maximize the value of your estate while minimizing the stress to your heirs. A well constructed will, which may include any of numerous types of trusts, can help you enjoy your retirement and provide for your heirs. Our Stuart and Port St. Lucie elder law attorneys can help you plan your estate so that your income taxes are minimized and your quality of retirement life is maximized. Mr. Keane is a Florida Bar Board Certified Attorneys in Wills, Trusts and Estates and very experienced in elder law. Housing for the elderly can be a conundrum. Your parent or loved one wants to maintain the independence they’ve enjoyed throughout their life, but you know they need special care. Whether it’s planning for assisted living, continuing care communities, or another type of housing, an elder care attorney can help you optimize life for both you and your parent or loved one. Sometimes, a home equity conversion is possible and our Stuart and Port St. Lucie elder law firm can help you with that decision. Our attorneys at the Law Offices of Keane, Thomas & Pinnacoli are knowledgeable about the area and the various building codes, so we may be able to help you with a home equity conversion for your or your aging loved one’s home. Our attorneys may have options to help you avoid a reverse mortgage. Our elder law firm takes elder abuse very seriously. Whether it’s neglect, physical abuse, or financial fraud, we can help you be alert to the signs and symptoms of each. Many times the elderly are afraid to speak up about the abuse they suffer because they’re afraid of reprisal from the abuser. Let our Start and Port St. Lucie elder care attorneys help you determine if your loved one is being abused, as well as what actions can be taken and what remedies can prevent it in the future. Despite your best efforts, sometimes you’ll need an elder care lawyer to help you with your aging loved one’s rights as a resident. You may have selected the best residence facility for him or her, but oftentimes you find out later that there’s a problem with care. One of our Stuart and Port St. Lucie elder law lawyers can help you resolve this issue. At the Law Offices of Keane, Thomas & Pinnacoli, the proper care of your parent or loved one is paramount and we’ll work hard to ensure that he or she receives the treatment they deserve. How do you determine who is a good fit as an elder care lawyer in Stuart or Port St. Lucie? There are many law firms to choose from, but how do you know which one is the best for your situation? When you’re selecting elder law representation in Stuart or Port St .Lucie, you’ll need to look for several things. Is your Stuart or Port St. Lucie FL elder care lawyer certified in Wills, Trusts and Estates? Many states offer this certification and your elder law lawyer should have it. Certification requires experience in practicing elder care law as well as continuing education courses, peer review and written examinations. Membership in the National Academy of Elder Law Attorneys, or NAELA, shows a commitment to practicing in this area of the law and to protecting the rights of the elderly. A membership in The Academy of Florida Elder Law Attorneys, or AFELA, also shows a commitment to the field of elder law. Does your Stuart or Port St. Lucie elder care attorney have the elderly as the bulk of his or her clients, or does there seem to be another main area of specialty? At least half of the attorney’s clientele should be within the field of law for the elderly and their care. Although it may seem that choosing a specialty attorney isn’t too important, it’s actually vital to the best interests of your aging parent or loved one. There are many aspects to the field of protecting and providing for the elderly, so selecting an experienced attorney who specializes in the field will provide the best outcome. If you’re looking for an elder care lawyer in Stuart or Port St. Lucie, then give the Law Offices of Keane, Thomas & Pinnacoli a call. Our attorneys are Florida Bar Board Certified, active members of both NAELA and AFELA, and the elderly comprise the bulk of our clientele. We treat our clients as though they were family and dedicate our practice to ensuring that their retirement years are as pleasant and memorable as they should be.